WHAT ARE THE DAMAGES CAUSED BY THE 26 DECEMBER 2004 TSUNAMI ? December 26, 2004 at 9:45 am local, a 10 feet high wave struck the coast of Koh Phi Phi. The consequences were dramatic. Nearly 800 people disappeared, but more than 5,000 people probably died in the killer waves that destroyed the island. Almost all the infrastructures were destroyed. This tsunami is the result of a major earthquake occurred three hours earlier in Banda Aceh, Sumatra, Indonesia. HOW DOES THE ISLAND LOOK LIKE AFTER THE TSUNAMI ? It took more than a year to rebuild the island's infrastructure and habitation, destroyed by the tsunami. 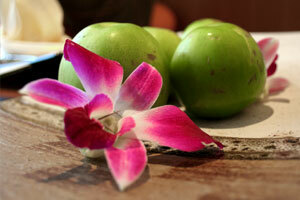 Today, Phi Phi is again able to welcome tourists, who flock in numbers. A commemoration park can be found in the Tonsai village. HOW TO PREVENT FUTURE TSUNAMI ? Experts have learned from the tsunami of December 26, 2004. An alert system was introduced on the busiest beaches of the island and the villagers have been trained to react to future disasters. 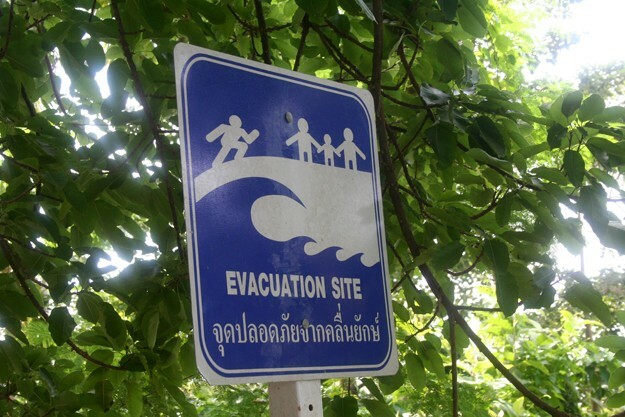 On the island, signs indicate an "Evacuation Route" in case of another tsunami, which leads to the highest point of the island, the Phi Phi View Point.